My guy (and co-writer of my upcoming book) Steve Steinberg was in this week and had the digital camera going, so he sent the following pics for us to post in the blog. Here I am with Double P in a the Bentley belonging to his host this week, Ian Poulter. PP comandeered the Englishman's vehicle for a few days and I'm not sure Mr. Poulter will ever see it again. 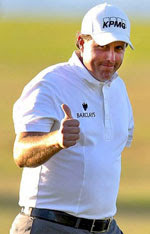 Stevie also got of me stretching out the big boy, first day leader Jason Gore on Thursday before the round. For the gearheads and car enthusiasts out there, check out this video of Ian's car collection and him tearing up a racetrack last year. Something tell me he might not even notice if PP doesn't return the Bentley at week's end. Joey D here. 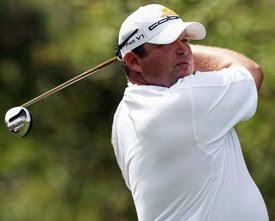 Just did a week in Tampa for the Transitions Championship and want to start this week's blog with a heartfelt congrats for my guy Charlie Wi, who reeled in a T4th place finish and held the lead for a while on Sunday before Retief Goosen took home the trophy. Charlie is a 'stack and tilt' guy, which can be a challenging style of ball-striking as you think you're in one place balance-wise and you're really not. When working together last week, Charlie and I really spent a lot of time addressing balance, which turned out to be a good thing. 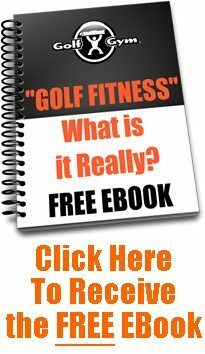 When you find out where your balance is in your golf swing, you're creating good awareness over the ball and through the ball, which is important. Charlie was also battling the flu this week, which brings up the premise of over-training or over-preparing, either on the range or in the biomechanics / strength & conditioning trailer. 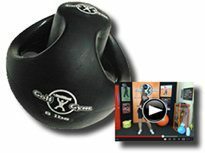 We discussed it and Charlie made the right decision to focus on active rest. We didn't work every single day, which is a point I want to make to all the readers. Rest and recovery can be as important as the training itself and that combined with the Amino Acids, fluids and making sure he was Hypertonic and avoiding dehydration. 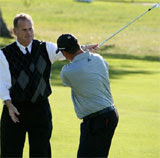 It all played into Charlie's ability to endure 72 holes. I know Charlie was disappointed that he didn't pull out the win, but he said to be verbatim, "Coach, I know I'm really close." He's aware of what it takes to win and he lost by two shots -- which can be everything in a PGA event -- but Charlie knows he's right there and was in contention again for the second time in a month, which will really help his confidence moving forward. A side note, if there's a message to take from this week's blog; pay attention to what you're body is telling you. When you're under the weather, don't push so hard. Make it a point to rest and get yourself back to a place where you're comfortable. 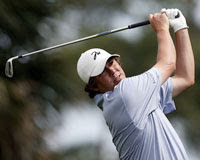 Jason Dufner was in the field last week and pulled out a T17th finish, effectively playing his way into a Bay Hill invite. Duff is coming off a rough 2008 (finished 172nd in FedExCup standings), but he kept battling back, headed back to Q-school and worked his way back onto the Tour. Dufner isn't one of these guys you're going to see the Golf Channel profiling week in and week out, but he'll sneak up on you. Pay attention to this guy. As we've seen these past few weeks, he's consistent (a top 10 and top 20 finish) and he's ready to make a run this week in Orlando. 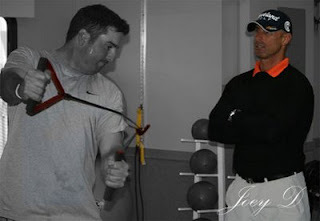 From a biomechanics standpoint, not everybody is going to be a machine like a Pat Perez or a Vijay Singh. 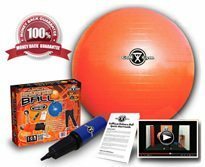 Preparation and training is very diverse for every player, due to body style, how hard they can get after it and how quickly they recover. 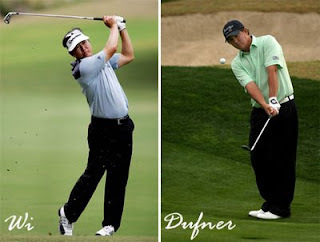 Dufner is a different body type from the aforementioned guys. Anatomically he is very tight. His muscles don't have the ability to go beyond where he is and he retains a lot of lactic acid, which accounts for the soreness. Duff has to put in a lot of time working on his flexibility. He's much shorter from origin and insertion to the proximal and distal points. 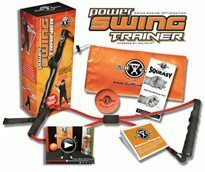 Duff will often say he feels tight, so he has to spend a lot of time focusing on rotational movements, stretching and what he refers to as "spring training". Spring training is a term that works for baseball, but on the PGA Tour there really is no warm up. It's virtually a year round tour so Dufner realizes he needs to ease into it. 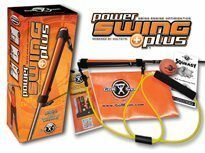 Ball work, light work with the PowerBandz to mimic the golf swing in multiple planes of movement, which keep him open. By not overdoing it early in the week, he's ready for Thursday. 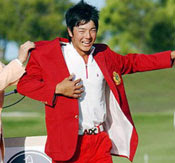 One last hot topic to touch on today is the phenomenon that is Ryo Ishikawa and the huge impact he's had on the golf media after two PGA Tour events. 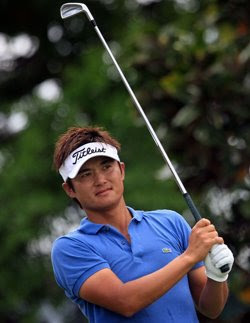 Ryo has two wins overseas, for which I congratulate him. 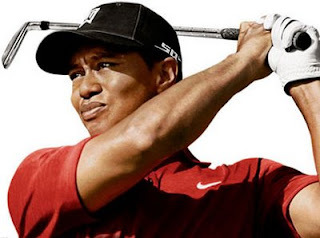 The media has latched on to Ryo, calling him "the Tiger Woods of Japan", which is something sports writers love to do -- always predicting the next big thing. As a coach, I prefer to look at results and don't focus on what the media says. The two overseas wins are impressive, but when measuring the Japanese Tour with the PGA Tour, there's no comparison. The PGA Tour has the strongest competition week in and week out. 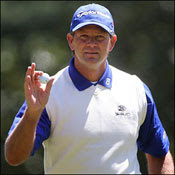 How else do you explain a decorated player like Retief Goosen going four years between wins? 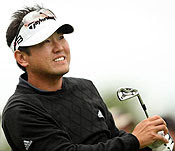 For all the hype, Ryo missed the cut at the Northern Trust (73-71) and this past week at the Transitions Championship, fired a 75-76 over the weekend, finishing +9. Again, further proof how hard it is to take care of business on the PGA Tour and what a tremendous job our guys are doing out here every day. Hopefully the media can focus on more up and coming PGA guys like an under the radar Jason Dufner, instead of always trying to drum up hype for the 'next big thing'. 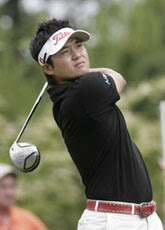 Ryo will come into his own in time, but for now let's focus on the guys who are getting it done. 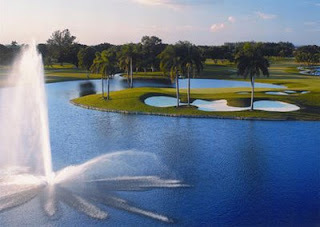 I'll check back in later this week to talk a little bit more about Bay Hill, Double P's return after a week off, the upcoming Masters and what I expect out of my guys this week.